The L.R. Baggs Para Acoustic D.I. is a one-box solution for acoustic instrumentalists who want control over their gain, EQ, effects loop and feedback control on stage without relying on a lengthy sound check or tech person. 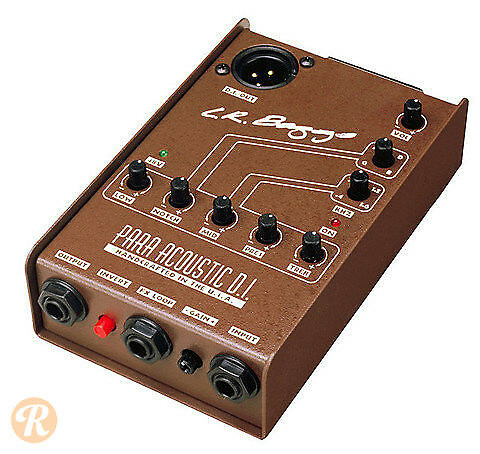 The Para Acoustic DI boosts and shapes an acoustic guitar's signal.